Live At River Plate To Receive In-Theater Release? 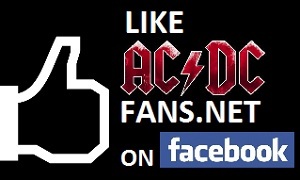 On March 20, following the airplay conclusion of ‘Dirty Deeds Done Dirt Cheap’, a WMMS DJ in Cleveland, Ohio noted that listeners should listen to the station in the coming weeks for a give-away of passes to see AC/DC’s new concert film in theaters this summer. He noted that the concerts, which were filmed in front of some “130,000 people” (“they filled that place up”) in Buenos Aires in 2009, would be receiving a DVD and Blu-Ray release in addition to an in-theater run. This may come as a great surprise to many AC/DC fans if it is indeed true that Sony Music would be constructing such a release. Stay tuned to ACDCfans.net for more details in the coming days! Discuss this and other AC/DC news in the ACDCfans.net forum!